buy new surreal art directly from UK artist. 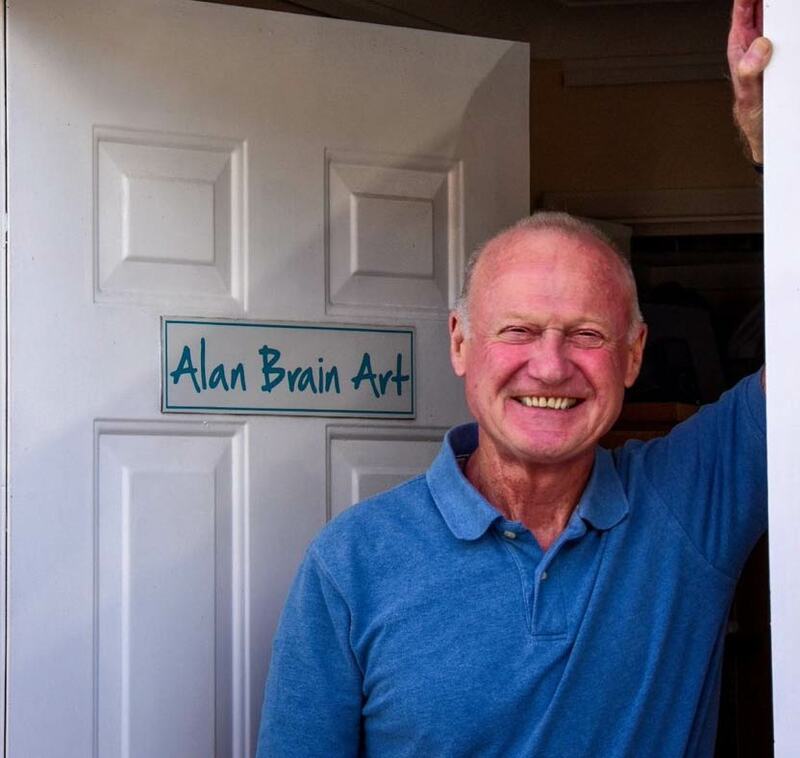 I am Alan Brain, contemporary abstract artist and art tutor. I just love to paint. It is what I do and who I am. I want to make visible through my work emotions that I cannot express in words, that is why I paint. Through my art I explore how I feel about what I see. I use my imagination to build shapes and colours that will express the emotion visibly. It is my passion. Painting is about uninhibited creativity and that is what I aim to inspire into my students by personal one to one art classes in my studio in Highcliffe Dorset. We need to know how to paint for sure, but we have the freedom to create whatever we want to and this can be easily overlooked and even forgotten. To paint with feeling, to find your passion and express it on paper or canvas, or anything else for that matter, is simply wonderful and I can help you to do that. I appreciate that buying art online is a new experience for most. I want you to be delighted with your purchase and to be sure it is entirely safe. Please see my assurances in the buttons below.